A brightening mask suitable for normal or combination skin, made with 99% naturally derived ingredients. Andalou Pumpkin Honey Glycolic Mask has Fruit stem cells, vitamin C, and glycolic AHA blended with manuka honey and organic pumpkin, rich in beta carotene. The mask will gently dissolve and sweep away your dull, dry surface cells, exfoliating and resurfacing for even tone, smooth texture, and giving you a luminous complexion. 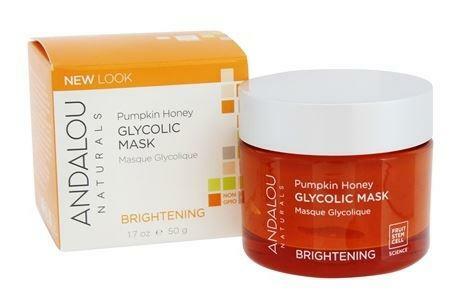 How to use Andalou Pumpkin Honey Glycolic Mask; Apply evenly to clean, dry or damp skin. Leave for 10-20 minutes. Rinse with cool water.